‘Spotlight on… occupational cancers’ aims to raise awareness of the health risks involved in construction work, specifically those relating to occupational cancers and the importance of taking proactive measures to safeguard all employees within the sector. There are various types of cancer which affect the workforce, but skin cancer and lung cancer have been identified as the two main types that significantly affect individuals working in the construction industry. Skin and lung cancer can be caused by exposure to carcinogens and UV radiation in the workplace over a prolonged period of time. The causes can take various forms from solid substances to gases and dust. Without appropriate control measures in place, workers can be exposed to these harmful substances by breathing them in or absorbing them through the skin. Due to the risks associated with the construction industry and the various harmful substances encountered on a day to day basis, workers within the industry are at a greater risk of developing cancer at work compared with any other industry group. Potentially harmful substances include asbestos, silica dust, diesel engine exhaust emissions, paint and prolonged exposure to UV radiation. UV radiation and skin cancer are sometimes not considered an issue in the UK due to the weather, but whilst a higher number of people are diagnosed with skin cancer in Australia, the survival rate is higher than in the UK. 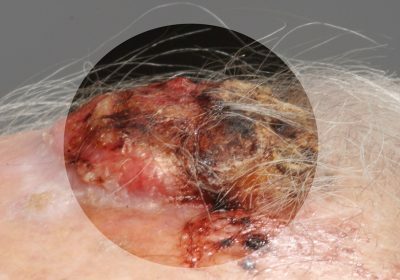 This is the result of better public attitudes to sun protection and early detection of any skin changes due to Australia’s well-funded awareness campaigns which have spanned over 20 years, coupled with primary and secondary school education. The UK needs to take a more proactive approach to this health problem, which is particularly relevant for outside workers. 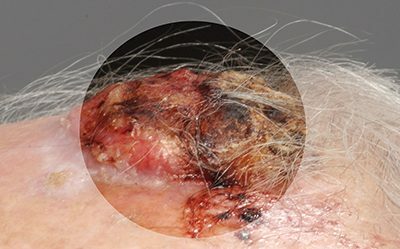 It is difficult to determine the true extent of occupational cancers as in many cases individuals fail to develop any noticeable symptoms until many years later. Therefore, the industry may not prioritise work-related cancer as an immediate health and safety issue. The industry has made great progress in recent years in addressing the ‘safety’ part of ‘health and safety’, but there needs to be greater focus on the health of the workforce and how working conditions can contribute to ill health. The importance of protecting employees’ health and preventing work-related ill health needs to be carefully considered and addressed by all those involved in the construction industry. The construction industry cannot afford to overlook the topic of occupational cancers. As highlighted above, work-related ill health is a major challenge facing the industry, with devastating long term effects. A good understanding of the risks and factors which contribute to occupational cancers is vital to be able to appropriately manage and minimise the hazards and effectively safeguard the workforce. Each employee has a personal responsibility to implement measures to minimise the risks to their health and the health of colleagues. Employers also have a responsibility to provide a safe work environment to ensure that employees are not being exposed to hazardous substances or UV radiation. On every site, before work commences, a risk assessment should be conducted and measures to minimise the hazards found should be implemented and effectively communicated to the workforce. Removing carcinogens and hazardous substances from the workplace is an effective method to counter the risks posed to employees on site; in situations where this is not possible sites should adopt less hazardous alternatives. 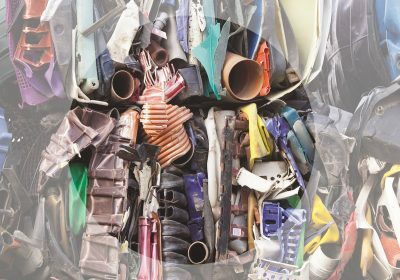 For example, additives or exhaust filters can be fitted to diesel machinery to minimise the toxicity of emissions. Specific areas should be designated at a distance from the main working area or workers should be removed from areas where hazardous operations are underway. This will minimise the number of workers exposed, and those who are exposed can be properly protected during operations such as cutting timber or cement blocks. 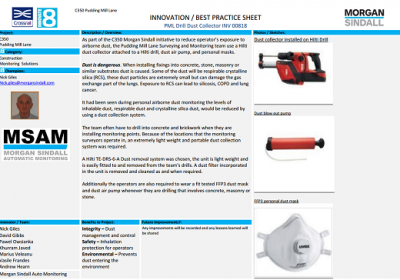 Measures to minimise the exposure to dust include implementing a general ventilation system or installing local exhaust ventilation systems on woodworking machinery. Dust bags could be integrated on power tools for sanding or cutting or providing an enclosure for hazardous operations such as spray booths. 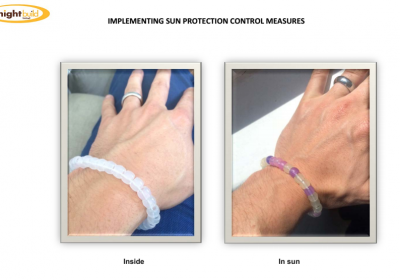 Controls could be introduced to reduce operatives’ exposure to UV radiation, such as providing shade, sun cream protection, reflective PPE, modifying reflective surfaces and using window tinting on vehicles. Outdoor work can be rescheduled to ensure that it does not take place in the middle of the day when UV levels are at their strongest. Jobs could be moved into shaded areas, outdoor tasks shared and staff rotated so the same person is not always working outside in the sun. 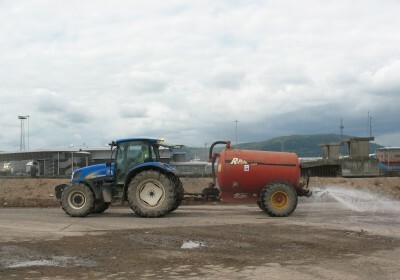 Given the damage caused by diesel fumes, sites should consider changing working procedures to minimise workers’ (particularly those operating plant machinery) exposure to these emissions. PPE should be used alongside other control measures and typically includes dust masks and respirators to protect against fumes. 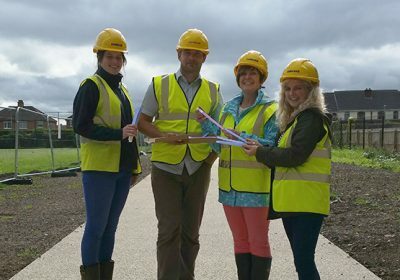 Gloves, overalls, neck protectors, sun cream and sun hats could also be provided for the workforce. In the long-term, the construction industry should be aiming to acknowledge and address occupational cancers. Sites should educate and inform the workforce about the dangers of occupational cancers via regular toolbox talks, nurse visits, posters and leaflets. A clear message needs to be communicated to everyone and equipment should be provided and made available to ensure that workers are able to protect themselves. The attitude in the UK amongst many people that we ‘don’t get any sun’ so we are not at risk of skin cancers needs to change immediately. 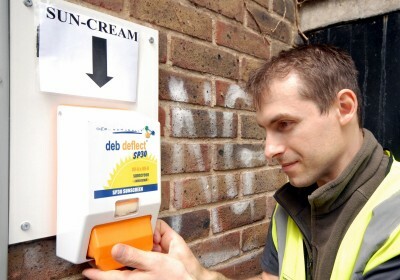 UV radiation is very damaging and outside workers are at particularly high risk. Breathing in dusts or harmful air also cannot be ignored as this can lead to long-term health problems later in life. 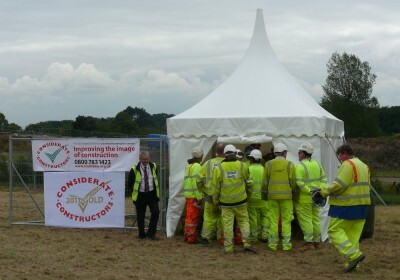 Although the Scheme has been able to identify a number of campaigns and best practice, it is clear that health still does not have the same priority as safety concerns on site. It is apparent that there is a heavy focus on basic protection, but there is a lack of awareness and adequate provisions to tackle the risk of work-related ill-health. The importance of protection for the long-term health of the workforce needs to be carefully considered and reinforced amongst workers. If the industry is to better safeguard against occupational cancers, further awareness, guidance and support will certainly be of great benefit. If the industry wants to improve its image and attract talented new recruits, it must ensure it is doing everything it can to provide a safe working environment for today and the future, considering both the short-term and long-term health effects of construction work. 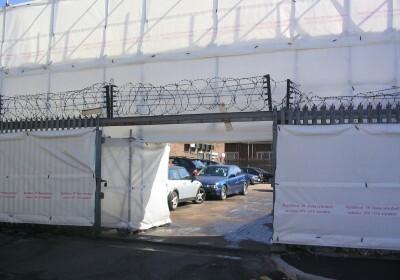 On site, different clients have slightly different procedures (albeit all based around the HSE EM1 guidance leaflet). We find that this can lead to confusion when operatives migrate to sites with different requirements. Though inductions are site specific and include this information – it wasn’t always easy to remember who to call or how to react in an emergency situation…. 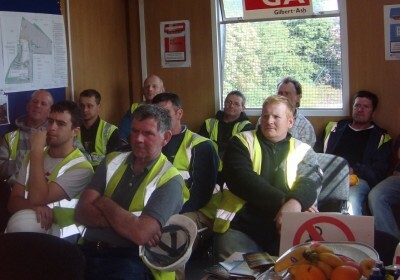 Toolbox talks are a great way of engaging with the workforce and delivering talks on relevant health and safety topics. Havercroft Construction Limited are working alongside the Men’s Health Forum to create Toolbox Talks developed for the construction industry relating to various men’s health issues including: Stress related issues Alcohol consumption Skin safety To view the toolbox talks click below. 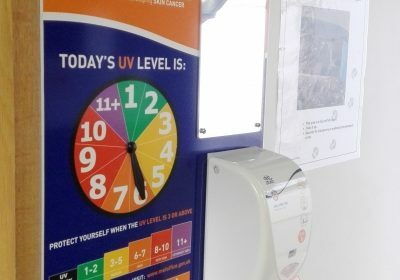 A-one+ has acknowledged the risks that over-exposure to UV radiation can have on their workforce. 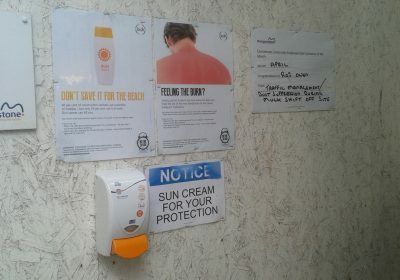 In response they launched a campaign to encourage their employees to stay safe in the sun. Click here to read more. 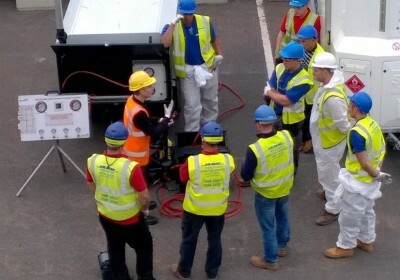 Galliford Try has focused on the importance of sun safety on site by using some of the resources supplied by IOSH’s ‘Stay Safe in the Sun’ campaign and issuing UVProtectA to their operatives and apprentices. 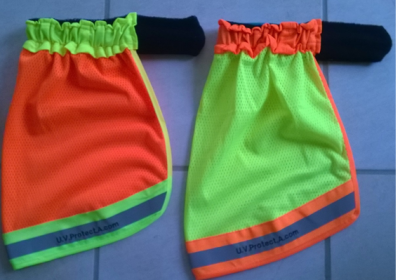 The UVProtectA is a ventilated neck sun protector with a sweat headband which is worn under site helmets. To find out more, click here. 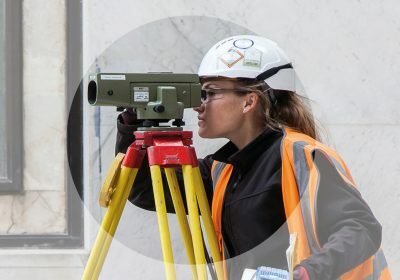 Land Securities has acknowledged the challenges facing the construction industry in making health a priority on site, click here to view how they are combating this issue. 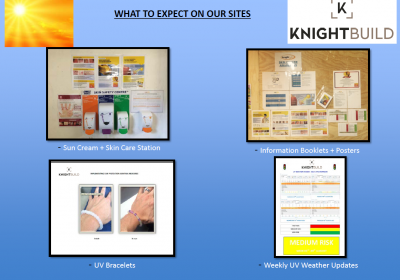 Morgan Sindall produced a brochure to introduce the 6 Ss of summer working to identify the best ways for workers to protect themselves in the summer months. 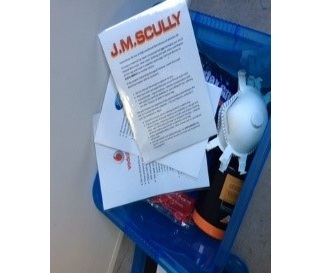 The brochure was sent to the homes of all employees to think about the risks in both the work and home situation. The brochure was also issued to a number of significant subcontractors to share the message. To view the brochure, click here. 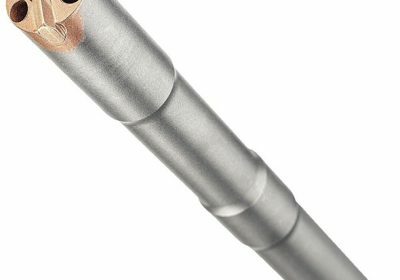 VolkerWessels UK has provided an insight into how the issue of occupational cancers is addressed on their sites. To read more, click here. This Act is the primary piece of legislation covering occupational health and safety in the UK. This law provides a legal framework for controlling exposure to occupational carcinogens and holds the creator of any potential risk substances responsible for its control. 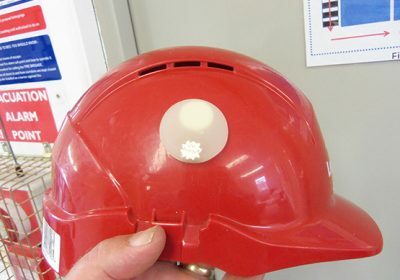 This aims to prevent occupational cancers by calling for the application of the following control measures: Removing carcinogens from the workplace; the use of less hazardous alternatives; designating specific areas at a distance from the main working areas or by removing workers from areas where hazardous operations are underway; general ventilation; damping down dust with water and PPE. Under these regulations, employers are responsible for providing personal protective equipment (PPE) to the workforce, free of charge. It is important to remember that PPE should only be used as a last resort, where exposure to risks cannot be adequately controlled otherwise. These regulations affirm that organisations in the construction industry must ensure that health and safety risks are fully considered during a project’s development so that the risk of harm to those who have to build, use and maintain structures is limited. These regulations require equipment provided for use at work, including PPE, is adequately maintained. Employers must ensure that individuals who operate the work equipment have information, training and instruction to safeguard their health and safety. These regulations require the employer to conduct a suitable assessment of the risks to the health of their workforce, including UV radiation. They further state that it is the responsibility of the employer to remove any risk. 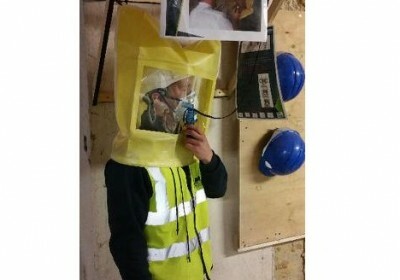 If this is not possible, other ways of preventing or reducing exposure must be identified, including protective equipment, and where protective equipment is required this must be supplied free of charge. 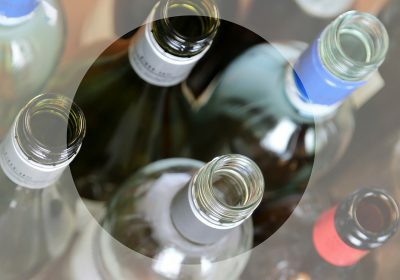 COSHH is the statutory instrument implementing the EU’s Directive on Control Substances Hazardous to Work. COSHH’s objective is to prevent or adequately control exposure to substances hazardous to health. To promote the use of alternative methods for the assessment of the hazardous properties of substances. These regulations address the control of asbestos in the workplace. Cancer Research UK provides information about cancer risks in the workplace. Health and Safety Executive (HSE) website outlines the issue of occupational cancer in general and cancer in the construction industry. – The HSE’s ‘Go Home Healthy’ campaign encourages employers to commit to protecting their workers’ health. – The statistics below are mostly drawn from the HSE’s 2012 report ‘The burden of occupational cancer in Great Britain’. The Institute of Occupational Safety and Health (IOSH) launched their No Time to Lose Campaign in 2014. This campaign aims to raise awareness of the top five causes of occupational cancers: diesel engine emissions, solar radiation, asbestos, shift work and silica dust. The campaign website provides a number of downloadable resources and case studies focusing on these causes of cancer. 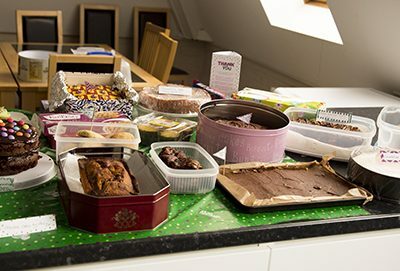 Macmillan at Work provides training, resources, a cancer toolkit and consultancy for employers, to equip individuals with the skills to effectively support those in their workforce who have been affected by cancer. Safety Groups UK Health Risks at Work initiative provides information to help small businesses manage key health at work risk areas, with a focus on: breathing; skin; muscles, bones and joints; hearing and touch; wellbeing. Society of Occupational Medicine released a report in May 2017 entitled ‘Occupational health: the value proposition’ detailing the business benefits of ensuring employee health. The report is supplemented by leaflets for company directors, line managers & HR professionals and workers. Trade Union Congress published their ‘Occupational Cancer: A Workplace Guide’ to enable employers and employees understand the issue. Fit2Fit is a respiratory protective equipment (RPE) test provider. 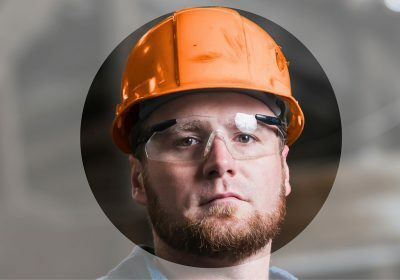 The Fit2Fit accredited Face Fit Testers can ensure a consistent testing service across all multi-site organisations to ensure the RPE selected is adequate for the hazard and suitable for the wearer. This is important because around 50% of RPE is not fitted correctly, putting workers at risk of developing occupational lung disease. SafeTea Break provides organisations with the toolkit and platform to engage the workforce in a discussion about health, safety and long latency occupational diseases. The kit provides open questions to present the workforce in a breakout session that will generate debate across health optics, driving a useful action plan and a better understanding of the health risks and consequences of noncompliance. Over 2,500 construction workers a year die from asbestos-related cancer (HSE, 2012). Asbestos: The Truth Conference is held annually and is the UK’s only asbestos event, showcasing seminars and workshops. This event provides a platform for industry professionals to network, learn about changes to legislation and discover new solutions to support them in their roles. The British Lung Foundation provide information on asbestos and its impact on the lungs, along with guidance on what to do if you have been exposed to asbestos. – BLF hosts Action Mesothelioma Day each July. This calls for greater investment in research and raises awareness of mesothelioma. Mesothelioma is a tumour of the mesothelium; this is the thin lining that covers the outer surface of most of the body’s organs. HSE’s Beware Asbestos campaign helps tradespeople protect themselves from the dangers posed by asbestos. The campaign offers reference cards and a free Beware Asbestos web app to help individuals identify if asbestos is likely to be in their workplace, while also providing practical advice on how to protect themselves from the dangers and when and how to get experts involved. IOSH’s asbestos resource pack provides factsheets, posters and presentations on the health hazards of asbestos exposure. The HSE provides a short leaflet outlining the hazards posed by diesel emissions and the precautions employers can take. IOSH’s diesel exhaust resource pack provides factsheets, posters and presentations on the health hazards of diesel emissions. 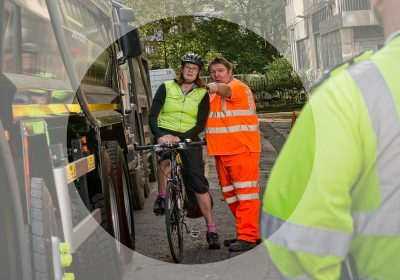 Unite has an online register of diesel exhaust emissions for workers to report high levels of diesel exposure. Unite also offer downloadable posters and leaflets highlighting the dangers of diesel exposure. See their campaign page here. The industry has collaborated to form the Construction Dust Partnership (CDP). 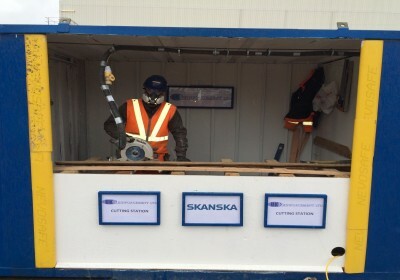 The partnership aims to raise awareness within the industry about the risks of lung disease related to hazardous workplace dust, while promoting good practice to prevent individuals undertaking such risks. 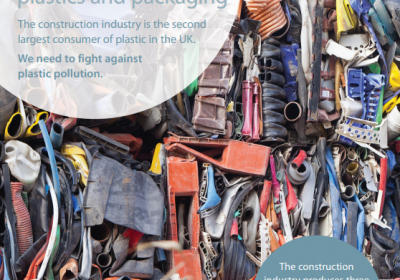 – The CDP and IOSH published the findings of their industry survey into construction dust in 2014. 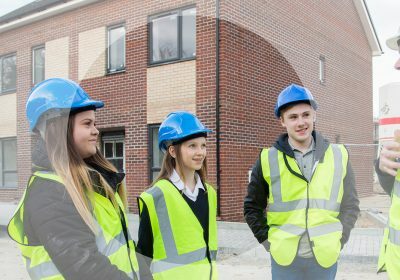 Among the key findings were that When asked what priority they think the industry currently puts on the control of construction dust risks, 44% thought the industry puts ‘very little’ priority on the control of construction dust risks, and only 12.5% said they felt it was ‘a priority health issue’. IOSH’s silica dust resource pack provides factsheets, posters and presentations on the health hazards of silica dust. 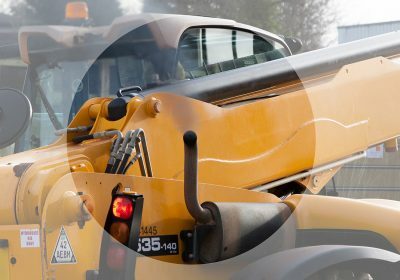 – IOSH progress report into addressing silica – ‘Tackling respirable crystalline silica together: A cross-industry commitment’ was released in November 2017. 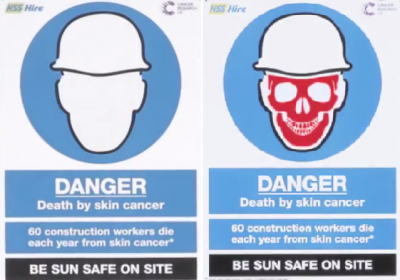 7 construction workers a year die from cancers caused by exposure to solar radiation (HSE, 2012). The national figure, at 2,500, is much higher (Cancer Research UK, 2014). 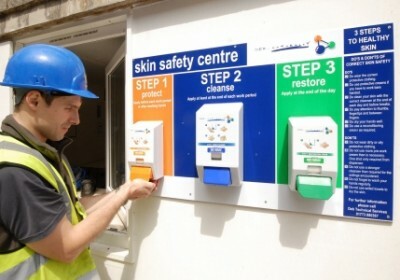 Cancer Council Australia published a guide for preventing skin cancer among outdoor workers, with information about the risks and advice for employers. IOSH’s solar radiation resource pack provides factsheets, posters and presentations on the health hazards of exposure to solar radiation. 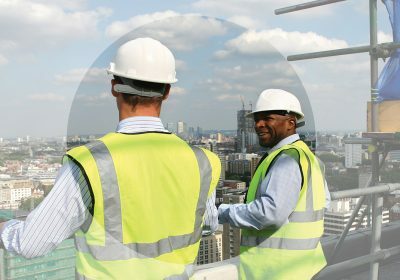 – IOSH worked with the University of Nottingham to produce the report ‘A safe place in the sun: Evaluating a sun safety intervention for the UK construction sector’. The Karen Clifford Skin Cancer Charity (Skcin) aims to raise awareness of skin cancer and to promote the importance of sun safety and early detection through educational initiatives and targeted campaigns. There are various organisations offering specific guidance to the industry in relation to dealing with occupational cancers. The Scheme’s Code of Considerate Practice consists of five sections. The ‘Value their Workforce’ section focuses on how registered sites, companies and suppliers consider the health and wellbeing of their workforce, addressing occupational health risks, weather protection etc. 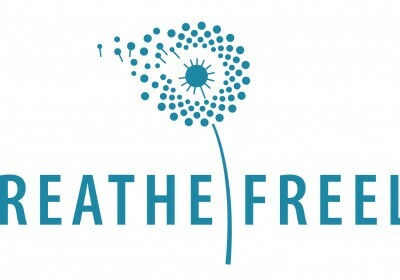 British Occupational Hygiene Society (BOHS) launched their Breathe Freely campaign to control exposures and prevent occupational lung disease in the construction industry. This campaign is a collaborative initiative led by BOHS to provide guidance, tools and resources that aid the recognition, evaluation and control of exposures in the workplace. – BOHS hosts an annual Occupational Hygiene conference which focuses on occupational hygiene and the prevention of occupational ill-health and disease. 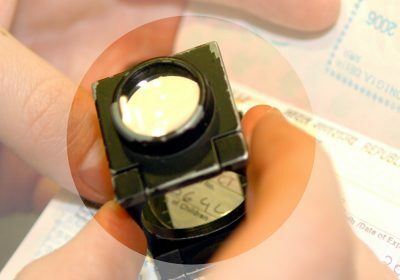 The conference brings together a range of experts, including, researchers, practitioners and regulators. The BSIF (British Safety Industry Federation) has released a document ‘Tackling Work Related Respiratory Illnesses’ that covers changes to public health allocations, work related illnesses in Britain, local action plans and recommendations. The CITB offers an Occupational Health Stay Well at Work course, consisting of six half day modules. The course aims to raise awareness of the potential health risks faced by construction workers, with a focus on skin and breathing. Constructing Better Health (CBH) is a non-profit membership scheme dedicated to helping the construction industry achieve a fit and healthy workforce. CBH have provided a number of downloadable resources for use by the industry on a range of issues affecting the workforce, to find out more click here. Health in Construction Leadership Group comprises contractors, clients, professional bodies and other industry organisations to unify the industry in its approach to worker health protection. HSE carried out a site inspection initiative between September and October 2015 which revealed a misunderstanding of what occupational health actually means and how it should be incorporated properly, with more than 200 health-related enforcement notices issued. The initiative also uncovered that 46% of construction sites visited have been found responsible for poor standards or dangerous practices. In response, the HSE provided a guide written by CONIAC and IOSH to offer assistance with this issue: ‘Occupational health risk management in construction’. 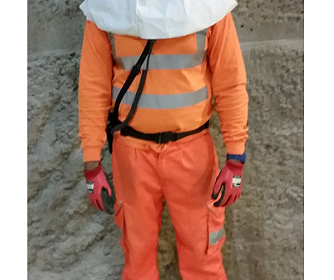 Speedy launched the ‘Safety from the Ground Up’ campaign focusing on dust control. 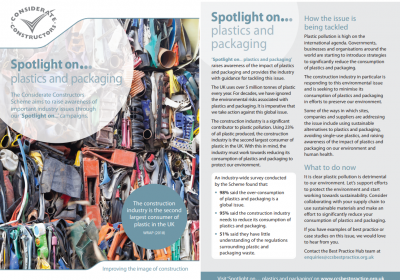 This campaign provides information consisting of four posters focusing on competence, a supervisor’s guide, a pocket guide and a toolbox talk presentation.